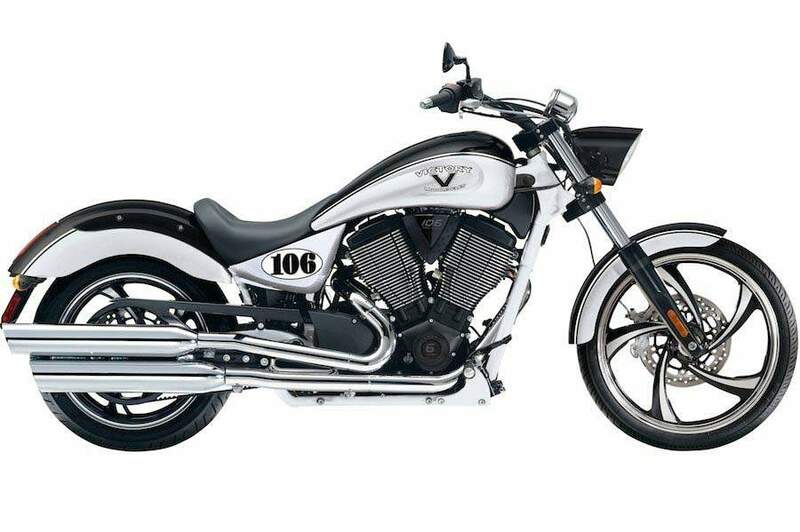 The 2010 Victory Vegas Limited Edition (LE) motorcycle represents the leanest and meanest Victory ever offered. Featuring the Victory Freedom 106/6 with Stage 2 cams, the new Vegas LE pumps out 97 Horsepower and 113 ft/lb of torque and features a Bonneville Salt Flats inspired paint scheme to let everybody know how serious it is. "We wanted to honor racers that have brought Victory Motorcycles to the Bonneville Salt Flats," says Victory Product Manager Gary Gray. "Bonneville is one of the most harsh racing environments on the planet, and racers such as Gregor Moe, Laura Klock of Klock Works, Matt Waring of MBW and others have helped show the potential of our motorcycles to the world. 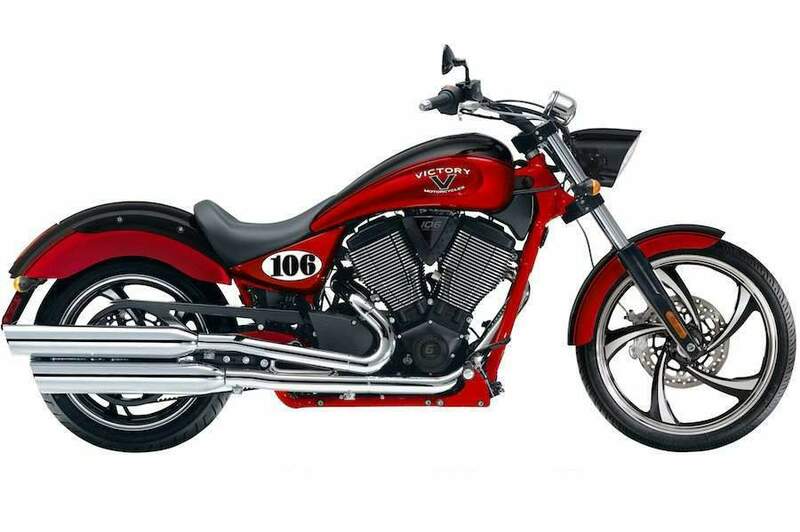 So we started with our lightest bike and our largest most powerful engine and added a Limited Edition paint scheme to create a unique motorcycle, plus we priced it aggressively." A total of 100 Victory Vegas LE motorcycles will be built, each one featuring a limited edition plate on the motor.